There seems to be two schools of gardeners: shrubbies and perennial freaks. On paper I suppose I am a frothy perennial freak, but I cannot stop planting shrubs in my gardens; why is that? Let’s put perennials into perspective. Herbaceous perennials are the flowering plants of summer. In spring they carpet the woodland floor and some can, in winter, make an attractive display of seedheads and silhouettes; but they are, as their name says, herbaceous. These are not permanent features of our garden’s landscape they come and go. For me it is this very characteristic that makes perennials so exciting. They encapsulate the cycle of life: birth, growth, maturation and death, and all in one growing season. This brings dynamism to our garden’s; the open landscape of spring can develop into a mysterious 3D landscape by mid-summer as tall-growing perennnials and especially ornamental grasses grow up to fill the air. I design planting schemes as sculptural forms and carve up the ground with a pattern of paths and planting areas that will draw me and my visitors into their midst. But there is a problem; perennials die down in winter and leave a gap, and without a strong framework our dream landscapes loose their perspectives. Trees and shrubs make the framework of many gardens and create a setting in which to play with perennials. But they are not dull workhorses framing the colourful perennials as individually they will often take a leading role. As well as creating a framework, shrubs, in particular, augment perennial plantings by flowering or forming autumnal foliage colour at times of the year when the perennials are not effective. Many of the popular shrubs flower in spring and early summer when many, so-called, prairie plants are little more than green mounds of dull foliage. However, there is an antagonism between shrubs and perennials which is also evident in the attitudes of the people who promote them. To start with the people who grow and know shrubs are a different breed from those who love perennials and in part this is due to their circumstances. To become an expert on shrubs you need a large garden to try out so many different species and cultivars. Either you are a wealthy landowner or a park superintendent with the time, space and budget to indulge your interest. Inevitably this leads to specialism and the collecting instinct kicks in. When these individuals write about their plants they do so as experts rather than as passionate gardeners and the results are rarely inspiring. I am a gardener with a small plot. My shrubs must not grow too large and offer more than just one special characteristic to earn a place on my handkerchief of ground. Far too many shrubs praised by the experts are way too large for the average gardener. I read books about trees and shrubs constantly, but rarely do they make helpful suggestions about how best to use them in designed landscapes, and even less so, in combinations with other worthy garden plants. Inevitably the same cliche combinations are trotted out. There are a few exceptions that I know, but in comparison to the excess of inspiration offered to gardeners about perennials there is far too little available. Every year I plant a selection of shrubs to try out in my own small garden. Combining them with perennials is far from easy and building up the knowledge to use them confidently and creatively is a slow processes littered with more failures than successes. In my next post I want to have a look at how best to bring focus to perennial meadow planting schemes and the role that shrubs might play in this. For now do share your thoughts and experiences as real gardeners. 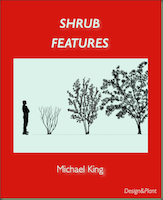 This entry was posted in Shrubs and tagged Perennial Perspectives, planting design, Shrubs. Bookmark the permalink. I couldn’t agree with you more. The combining of perennials and shrubs and trees ( and bulbs, annuals and biennials) formally a Mixed Border has always been the most appealing to me. Maybe it has something to do with living in New England, USA. We don’t have vast areas of grassland here. Essentially, if left alone, New Hampshire would become a forest. Having trees and shrubs is consistent with our sense of place. In my opinion, prairie gardens don’t fit every part of the country, in the United States or all locations in Europe. The prairie garden has become quite fashionable but not necessarily “right” for every garden. I am waiting for a woodland movement which would be appropriate for New England, but not Kansas. 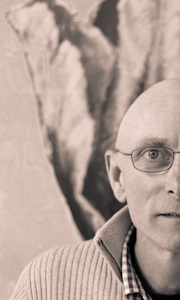 I am looking forward to your next post and have been appreciating the thoughtfulness of your blog! Thank you Michael for your comments. Although I love perennial plantings I know they are not right everywhere. I saw a terrible scheme in a park in Central London last month that looked totally out of place.